The good news for the Pittsburgh Penguins? They still have elite core players including Sidney Crosby, Evgeni Malkin, Phil Kessel and Matt Murray who helped them win two straight Stanley Cups. The bad news for the NHL’s latest Lords of the Rings? 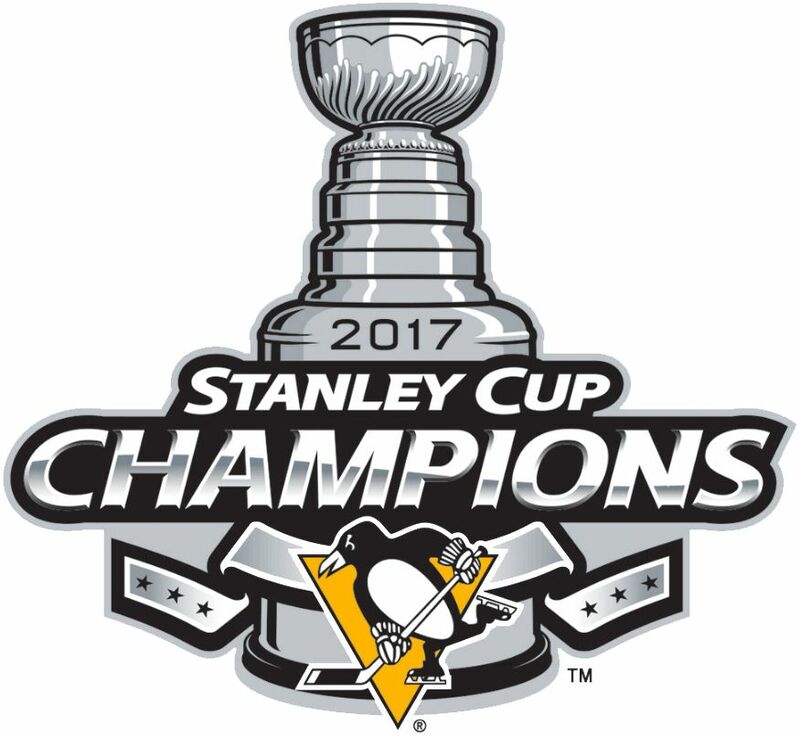 Since hoisting the 2018 Cup, they’ve lost experienced players (and in most cases multiple champions) Marc-Andre Fleury, Nick Bonino, Chris Kunitz, Trevor Daley, Matt Cullen and Eric Fehr. While the loss of so much experience and the current lack of an obvious third-line center will likely prevent the Boys of Steeltown from becoming the first to seize three consecutive Cups since the Islanders way back in the 1980s, it’s good news for some prospects. Choosing to primarily promote from within, mostly due to salary-cap pressure, the Pens are offering chances to their younger players to pick up the slack and become significant contributors. The off-season acquisitions of G Antti Niemi (backup to Murray if it’s decided Tristan Jarry needs more AHL seasoning), fourth-line RW Ryan Reaves (occasional bodyguard for Sidney Crosby), C/LW Greg McKegg (cool name) and D Matt Hunwick (no comment) are depth players and spare parts. The free-agent signing of LW/C Adam Johnson adds a prospect. Still technically a prospect after just half an NHL regular season, speedy sniper Jake Guentzel is a lock to be a top-six winger with Crosby or Malkin after his incendiary 13-goal playoff outburst. Using him to replace Bonino as the third-line middleman would severely weaken top-six, five-on-five scoring. While primarily a versatile winger, Scott Wilson has played in the middle, is defensively responsible and is a good bet to break camp as the new Bonino after GM Jim Rutherford surprisingly dealt promising Swedish prospect Oskar Sundqvist for the hulking Reaves. The cap-strapped Rutherford is also believed to be playing a waiting game, wishing to sign a veteran bottom-six center to a lowball contract, likely after the new season is underway. Long story short: Depending how coach Mike Sullivan decides to deploy his forwards (and he’s not hesitated to move them around the past two seasons), there could be a top-six winger opening. Besides the third-line C vacancy, there’s also an opening for a fourth-liner in the middle. That will likely be veteran AHLer Carter Rowney unless he’s thrust into the middle of the third line. Since the much-injured Kris Letang is recovering from a serious neck injury that ended his season after Feb. 21, and is not expected to be ready for the 2017-18 opening puck drop, this would be a great time for Derrick Pouliot to finally prove the Penguins didn’t waste an eighth-overall pick on him five years ago. Guentzel is a no-brainer after his high-profile Stanley Cup outburst, so let’s skip to three other less-obvious prospects. The Flying Dutchman (nicknames don’t get more obvious than this) overcame a too-early NHL promotion and a devastating shoulder injury that required surgery to rebound as one of the brightest young stars in the Penguin Galaxy. Earning a spot on the big-league roster by being perhaps the best player as an 18-year-old at his first NHL training camp, Sprong was sparsely used and returned to junior after scoring twice in 18 games. The sniping speed demon racked up 46 points in 33 QMJHL games and compiled a remarkable 59 points in 31 junior outings after returning from surgery. If the dynamic RW, now 20, doesn’t make Pittsburgh’s opening-day roster, he’ll make a splash in his AHL debut. Sprong will be a high-scoring top-six NHLer sooner rather than later. After a disappointing performance as an AHL rookie, the former Memorial Cup champ rebounded strongly and was named to the league’s all-star game as a sophomore. A GAA of 2.15 and save percentage of .925 led to a 28-15-2 record, three shutouts and confidence in Pittsburgh management that he will be at worst a capable backup to Murray. That could happen as early as this season if Niemi isn’t up to the task. The late-blooming Hobey Baker Award finalist from Northeastern led the entire NCAA with 31 goals in 38 games and finished in a three-way tie for the national points title with 63. He impressively added three goals and five assists in 10 late-season AHL games on a tryout with the Wilkes-Barre/Scranton Penguins. There’s some question about how high the six-foot, 205-pounder’s NHL scoring ceiling will be, but at this point he looks like a solid two-way big-leaguer whose odds of NHL employment will be helped by his ability to play center or wing. While Letang’s health issues and Pouliot’s draft pedigree give him the most-obvious chance to crack the NHL lineup, his big-league appearances have plunged alarmingly from 34 to 22 to 11. Possessing decent size at 6-0 and 208 and all of the physical tools you could want in a blueliner, the should-be PP mastermind has proved to be a dunce without the puck. Pittsburgh management continues to express patience and optimism, but the Pens signed the 23-year-old to a mere one-year, $800,000 deal. This could be his last chance in Pittsburgh, although he could still develop into an NHL star. The defenseman’s career is threatened due to a disorder first diagnosed as Lyme Disease and since identified as POTS Syndrome. The slightly built, highly skilled blueliner had a goal and five assists in just 16 AHL games in his North American debut, although it’s a testament to his character that he played at all. Tests at Minnesota’s Mayo Clinic revealed POTS, a rare and complex ailment that causes the young Swede excessive weariness and pain. Still listed as a prospect in spite of getting into 99 NHL games, the sturdy and versatile German winger is getting squeezed out by other young players, and might not make the opening-day NHL roster. Mostly toiling as a physical fourth-liner, he has just nine goals and 30 assists in those 99 big-league outings. His NHL ceiling is as a bottom-six foot soldier and he might play more in the AHL than the NHL in 2017-18. RW Josh Archibald inked a two-year, one-way contract extension with an average annual value of $675,000. Training this summer at his U of Nebraska-Omaha alma mater, the 24-year-old hopes to carve out a bigger role with Pittsburgh by forechecking aggressively and killing penalties well. Appearing in Game Four of the Stanley Cup final got his name on Lord Stanley’s trophy. The self-described “energy guy” spent most of the past campaign in the AHL, although he got into 10 NHL league games. Pittsburgh re-signed forward Jean-Sebastien Dea to a one-year, two-way contract that has an average annual value of $650,000 at the NHL level. In three AHL seasons with the Wilkes-Barre/Scranton Penguins, the 5-11, 175-pounder has totaled 48 goals and 91 points in 192 games in which he’s plus-27 overall. The 23-year-old has played in just one NHL game. I hope this got you all caught up on the baby Penguins. If you’re interested in other NHL teams, look back into our earlier 31-teams-in-31-days articles and keep coming back for the rest of the series. If you’re crazy about the two-time Stanley Cup defending champion Penguins, I’ll keep you updated on their prospects throughout the calendar.